Between 2016 and 2018, Stena RoRo placed orders for eight Stena E-Flexer class vessels with the Chinese AVIC Weihai Shipyard. 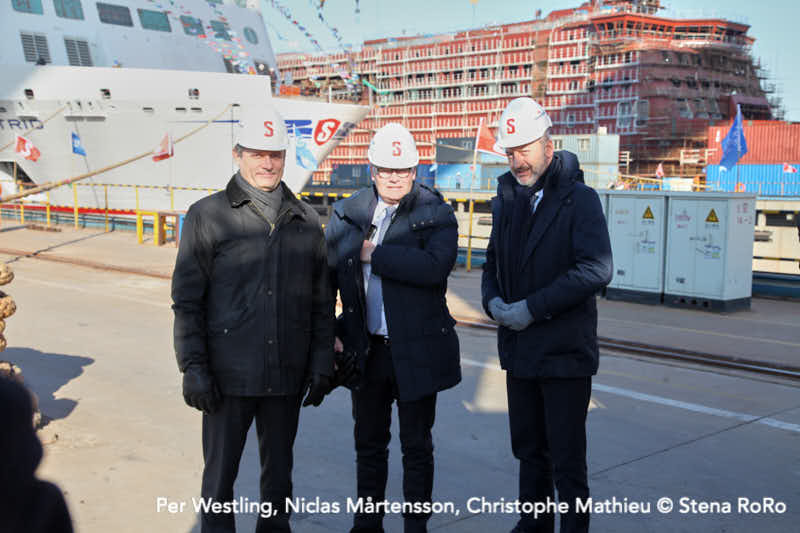 Construction is continuing according to plan and on 16 January, two ceremonies took place in the shipyard – the launching of the first E-Flexer (STENA ESTRID) and the keel laying of the third vessel in the series. Guests from near and far gathered in a chilly but sunny Weihai in order to witness these solemn ceremonies. Read this report from Per Westling, Managing Director at Stena RoRo, with more information about the 8 vessels.